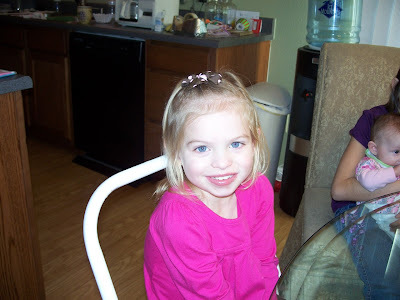 Our Crooked Branch: Happy 3rd Birthday, Addi! 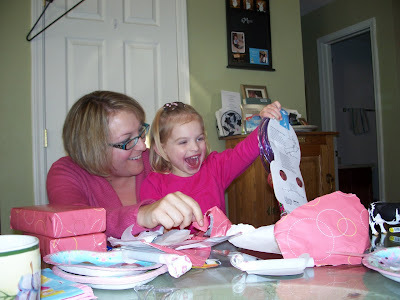 As promised, here are pictures from this weekend's birthday celebration. It's hard to believe our girl is so big! Although she's still addicted to her paci, so there's still a little baby left for us to love on. 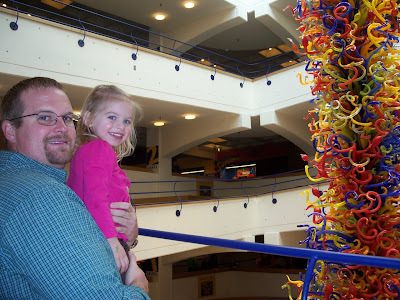 We spent Saturday at the Children's Museum in Indianapolis with my mom, Lee, Roxi, Sabrina, Lorelai, Uncle Phil, and my friends Mandee and Jason and their son Jack. The museum is huge so we didn't even make it through the whole thing. And I think the fact that Addi didn't feel 100% worked in our favor... Generally when she gets an audience in a large open place she starts acting like a drunk baboon. But Saturday, she was almost on her best behavior. 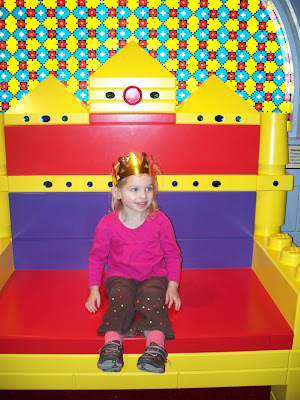 The new exhibit is Lego's Castles... so all the kids got crowns. 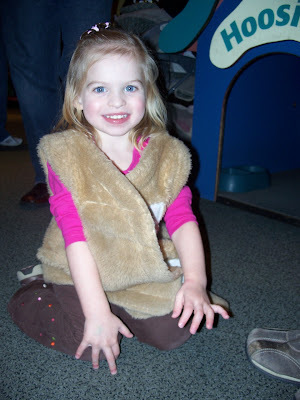 Addi's favorite part of the museum was the dog house and dog outfits. 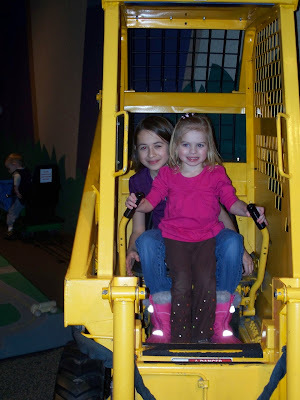 Addi and Sabrina in a "Cat" machine. Busted! Apparently, Jay's dislike of reading is really because he doesn't know how. 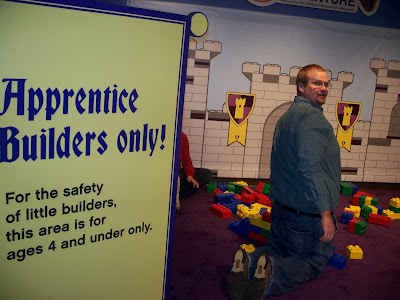 Didn't he see that this area was only for kids? 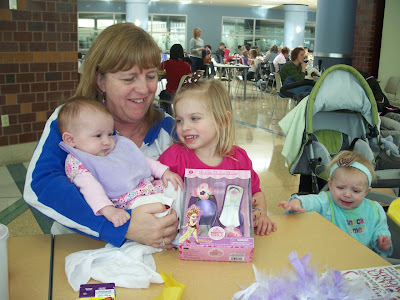 We ate lunch and Addi got to open a gift from Mandee. Sam did not enjoy this part. Later we went back to my mom's house for cake, ice cream and presents. 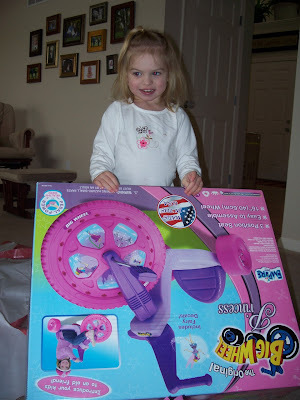 On Sunday we went home and Addi opened her last gift from us... a Big Wheel! She was so excited to ride it so we went to the basement - and she promptly fell down the stairs. We'll try again another day. 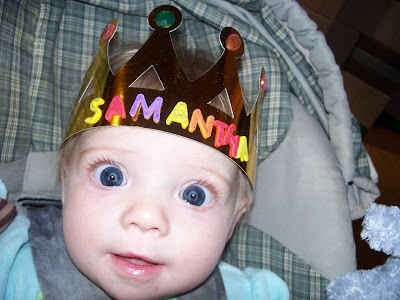 Here's to a wonderful, potty trained, paci free third year! To see all the pictures from this weekend, check out JayandStephanieRalph.shutterfly.com.